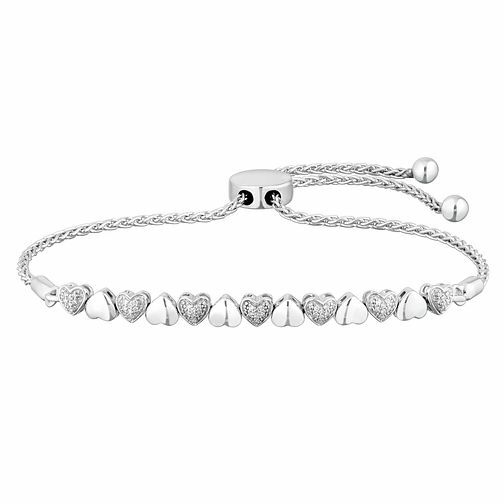 This simple sterling silver bracelet features miniature hearts and alternating April birthstones. Adjustable for a comfortable fit, this is bracelet for all occasions. A bracelet for all occasions.